How to make your DVD or Blu-Ray player multi-region or region free. 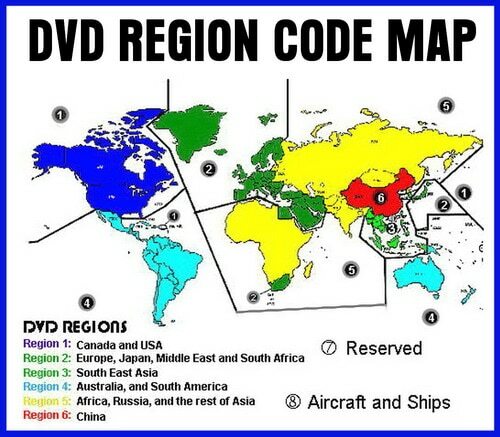 Watch any region code DVD or Blu-ray on your player. There are different ways to switch or remove regional codes on DVD players. DVD or Blu-Ray region coding can be removed from your player using a simple remote control code and other types of removal hacks to unlock the player. The methods below are proven to work with all players to play and watch any region code DVD or Blu-Ray. NOTE: You can use VLC media player to watch DVDs on your computer/laptop region free. FYI: “Region Free” DVD/Blu-Ray players are available. If you do not already own a DVD or Blu-Ray player, you can buy a region free player as it will say “REGION FREE” right on the box. Getting a region free player will save you the hassle of hacking it or having to type in remote codes for each region. DISCLAIMER: These DVD region removal unlocks and hacks are not meant to break any laws or rules, they are meant to be used by (as an example) by US Military personnel that have Region 1 USA DVDs and need to be able to watch them for official purposes on a DVD player from another country while they are in that country. Do not use these codes and DVD region hacks to watch a DVD if you are not using a DVD player with a disc with a different region. I have a 2 year old Samsung BD-JM57 Blu Ray player. Works great on all Region 1 DVDs. I can never get any numbers to appear on the main menu screen when pressing the menu, pause, or yellow button at bottom of the remote.